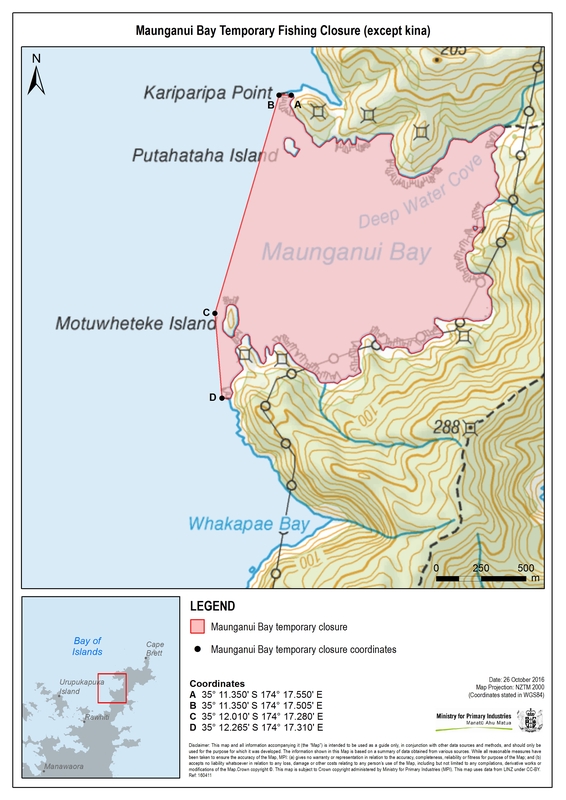 Maunganui Bay, on the Cape Brett Peninsula in the Bay of Islands, was first closed to all fishing except kina on 1 December 2010 for a two­ year period. It has been rolled over every two years since then. 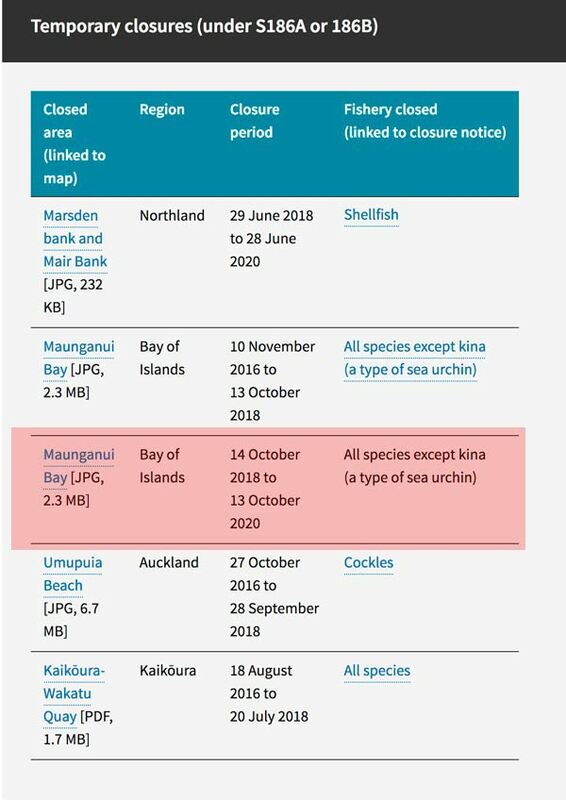 Ngati Kuta and Patukeha ki Te Rawhiti, the two resident hapu, have requested a further closure as they consider that more time is required to allow depleted stocks in Maunganui Bay to continue rebuilding. Copyright © 2019 Ngati Kuta & Patukeha. All Rights Reserved. Web|Wright.